riyaz.net publishes the best of content from a variety of categories like Technology, Internet, SAP, Contemporary Art, Lifestyle. riyaz.net has over 300 articles and receives over 40,000 visits every month from around the world and these numbers are growing every day (Source: Google Analytics). SAP Professionals can benefit from our SAP Section which has in-depth SAP tutorials and technical resources. You can ask questions in the Discussion Forums and get answers from the community. Bloggers and Techno-geeks can make use of articles in the Internet and Blogging space while everyone can find useful articles in Lifestyle section. riyaz.net was launched way back in 2005 launched by web designer, blogger and SAP Consultant Riyaz Sayyad from Pune, India . At that time it was just a small website of a personal nature visited mostly by family and friends. Over the years the site has grown into a full featured online community. You can connect with us via Twitter, Facebook, Buzz. You can subscribe to our RSS feeds via RSS readers or via Email. We value your feedback. Please use the contact form to send in your views. riyaz.net is proudly powered by WordPress and built on Genesis Framework. Performance Optimization powered by W3EDGE. Social Media tools powered by Social Metrics Pro. Advertising by Google. 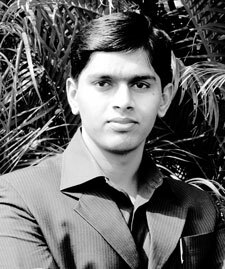 I am Riyaz Sayyad from Pune, the Cultural Capital of Maharashtra, India. I completed my schooling from Sainik School Satara, one of the best residential schools in India. Later, I graduated as an Electronics and Telecommunication Engineer from University of Pune. Being a computer geek, I joined the software industry and I’m currently working as SAP PI Consultant. Web development and blogging has become one of my hobbies. riyaz.net is the result of this very skill. I also love to paint. Although, I am not a professional artist, I do painting with quite a good artistic touch. I am fond of painting in oil and I owe my gratitude to my art mentor Mr. Sanjay Naik to train me well in the same. Philately is another hobby I developed when I was about 15. Although again I am not a professional person in this field, I have a collection of a few hundreds of stamps with me. I collect mint as well as canceled stamps. I also have a variety of se-tenants, miniature sheets, first day covers, and brochures. You can get in touch with me via Twitter, Facebook, Buzz, email (riyaz[at]riyaz.net) or by using the contact form.